“Songs of My Soul” How would you describe the soundtrack or playlist of your life? What are some of the recurring themes? Come learn about ministerial candidate Eric Severson’s formative personal and professional experiences and reflect on your own. 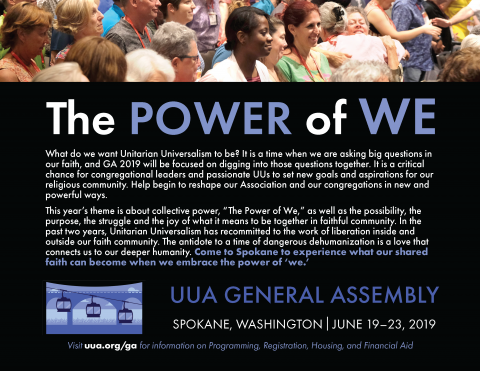 What has fueled your commitment to Unitarian Universalism? Eric Severson speaking. The Fellowship Office is open Monday-Thursday from 9:30 am until 3:00 pm. Please email the office if you need to get in touch at any other time.